The Patriots' coaching staff may look a bit different next season. 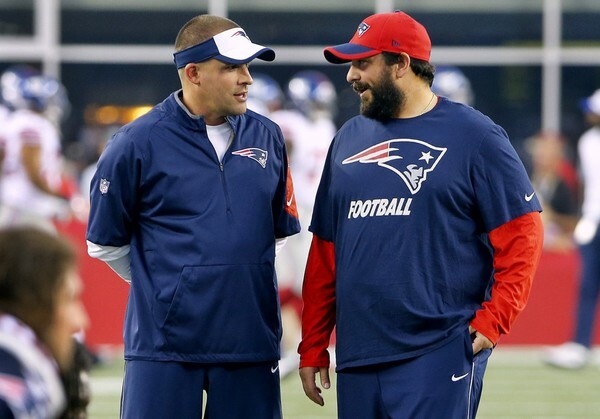 Both Matt Patricia and Josh McDaniels have officially accepted head coaching jobs with the Lions and Colts respectively. According to reports, McDaniels may be taking special teams coach Joe Judge with him to Indy as well as assistant quarterbacks coach Jerry Schuplinski. New England is trying to keep Judge in the fold, however. Additionally, offensive line coach Dante Scarnecchia didn't say whether or not he would be returning. Patriots are losing both coordinators (McDaniels and Patricia) and reportedly their special teams coach (Joe Judge, per WEEI) and now their assistant quarterbacks coach (Schuplinkski, per ESPN). Offensive line coach Dante Scarnecchia was non-committal about returning last week. 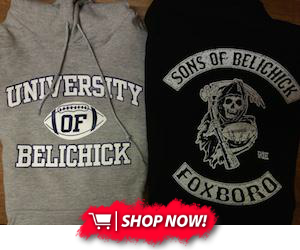 There has been no word on who will take the reigns as offensive and defensive coordinator under Bill Belichick. The consensus is that Brian Flores will be promoted to defensive coordinator and Chad O'Shea will become the offensive coordinator. There have been rumors that Ohio State defensive coordinator Greg Schiano could be hired to fill the same spot in New England or that Belichick may just take defensively play-calling duties. Either way, we should know in the coming weeks what this coaching staff will look like moving forward.